Wind rushing through the branches of tall and mighty trees, the smell of grass after light rain and astounding Lithuanian natural beauty. 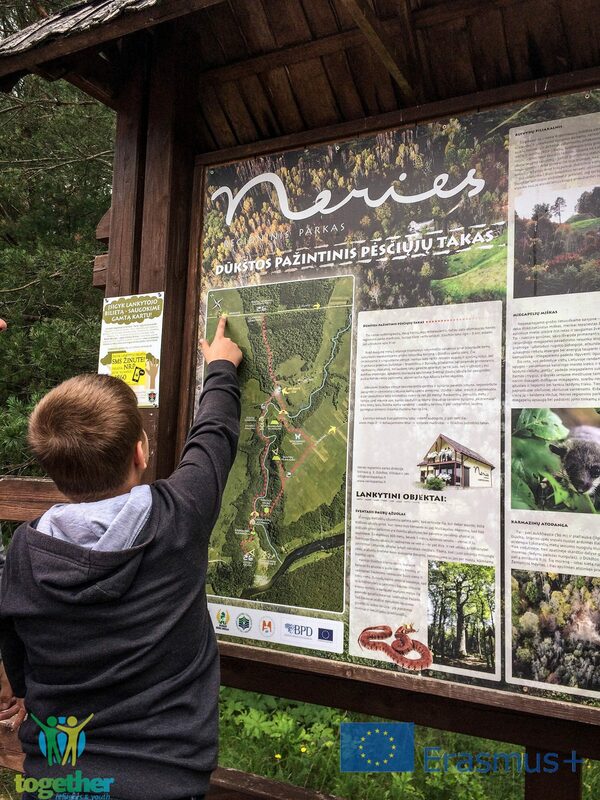 What more could you ask for a picnic and excursion in Lithuanian forest? Last Monday afternoon together with refugees we had an opportunity to look around Dūkštai educational trail. Some kids (or as we call them “young adventurers”), were searching all around the trees, bushes and in the river for something, to take back to the refugee center as their personal treasure, while others were making flower bouquets. Everyone was out to find a natural souvenir. At the end of the trail we enjoy a Lithuanian food feast, where all of us sat together at one big wooden table and ate as a big family. Everyone was happy and refugees said that they never imagined Lithuania to be such an amazing country with such amazing sights. Would you like to enjoy a little bit of the trail? Have a look at the pictures!